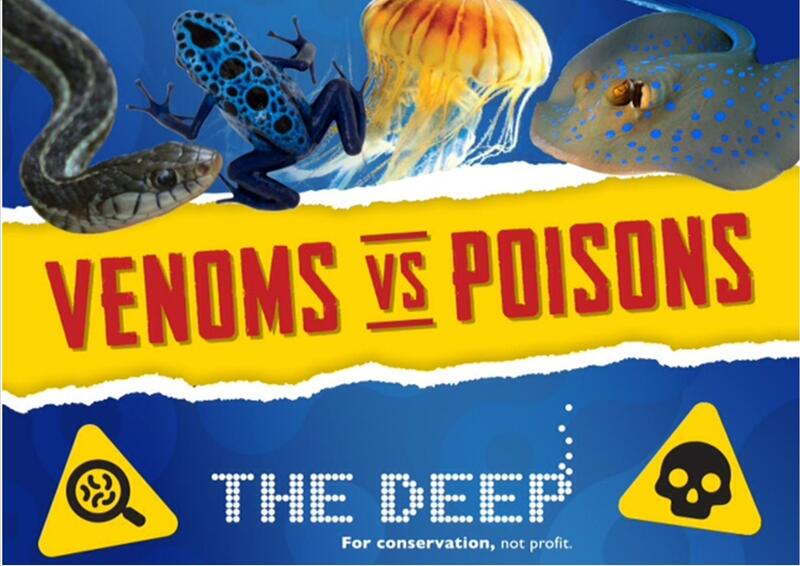 Visit The Deep aquarium in Hull this October half term and find out which animals use venom and which use poison in a new fun-packed interactive show. Was snow white’s apple venomous or poisonous? Did Dory get bitten or stung? Delve into the lives of toxic creatures at The Deep and discover how our animals use their amazing abilities to survive. Venom or Poison runs from 20 October to 4 November with daily shows at 11am, 1pm and 3pm. There’s also a slime making workshop down at the activity centre too, where little ones can make their own sticky slime to take home for just £1. During your visit to The Deep you could also take part in a touch-pool session (every hour between 10.30am – 4.30pm) and handle some of the smaller species native to the UK, including starfish and sea urchins. Watch The Deep’s divers feed some of the aquarium’s many animals during daily dive shows at 2pm. You may even catch Loggerhead sea turtles enjoying a leisurely glide around the Endless Ocean. Guides are also on hand to tell you more about the 3,500 fish, sharks and rays you may encounter on a visit to one of the UK’s biggest aquariums.